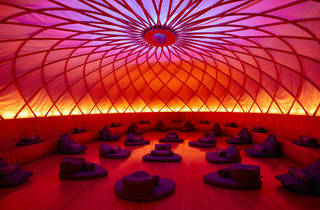 At this colorful studio, put a dab of scented oil on your wrist and step into a dome that looks like a set from Dune. 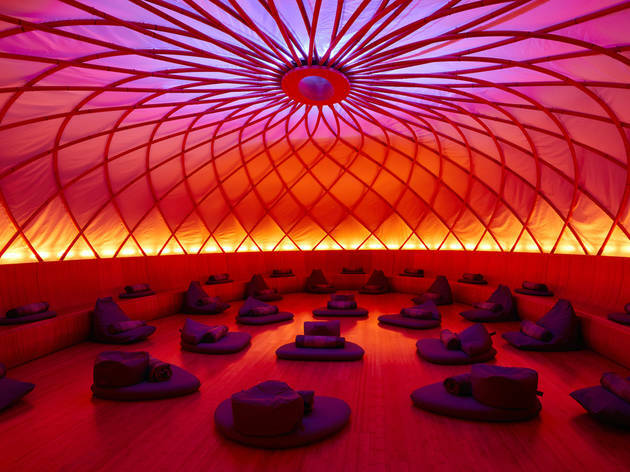 Prerecorded audio guides you through phases of movement, breathing and silent meditation as the lights around you change to deepen your experience. It’s like entering a self-improvement planetarium.